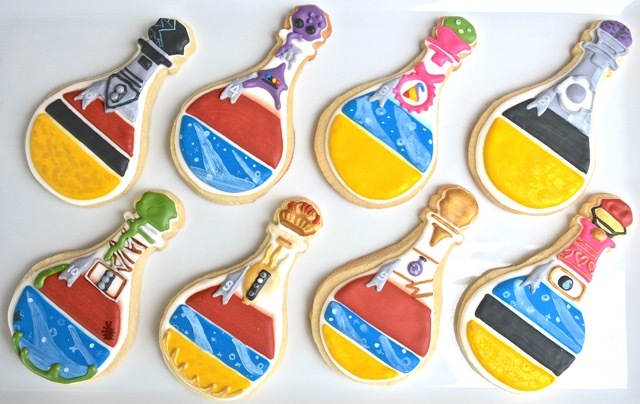 These Potion Explosion cookies are my most detailed and favorite cookie of all time! I absolutely LOVED them. And thanks to Asmodee Digital, these yummy treats were featured on the Sweety High Blog. You can find the full article ‘Bake What You Love’ here.